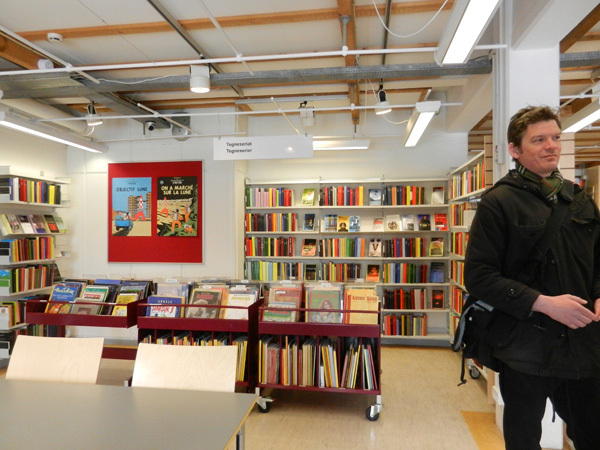 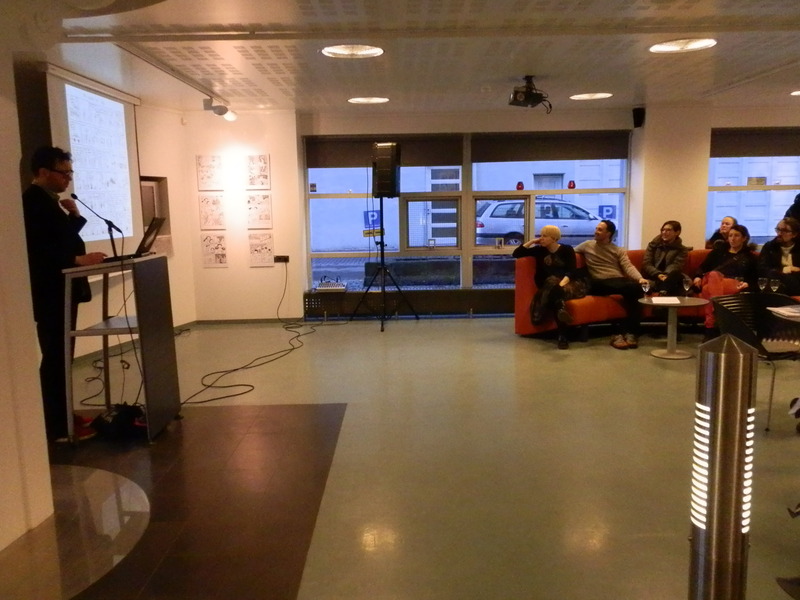 The Nordicomics Islands exhibition was unveiled for the first time yesterday at the Reykjavik City Library! 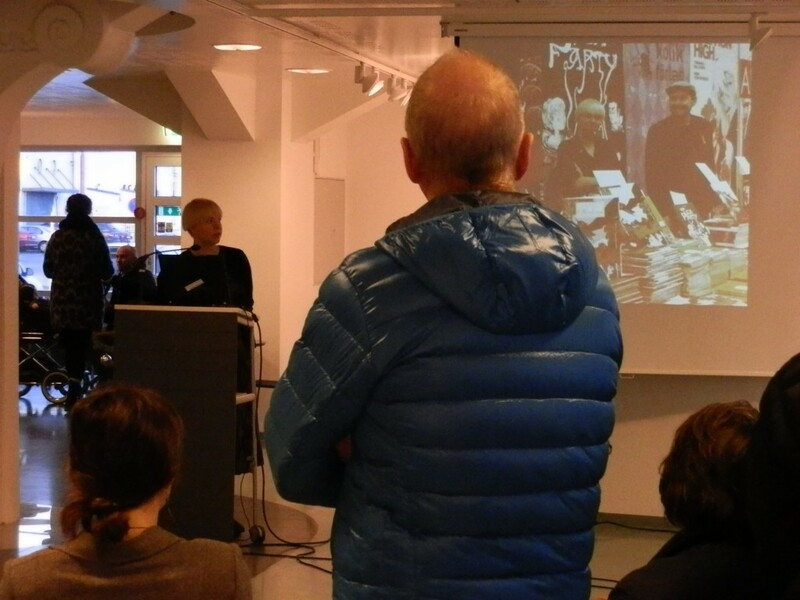 A steady stream of comics-curious people flowed into the exhibition space all afternoon, and the event caught the attention of the Icelandic media, including several newspapers – and the national broadcasting service RUV even came to interview us for the 7 PM news! If you know your Icelandic, you can read a written article of the interview at their website. 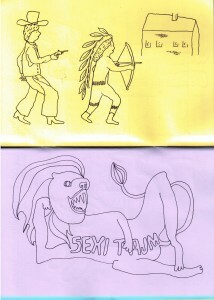 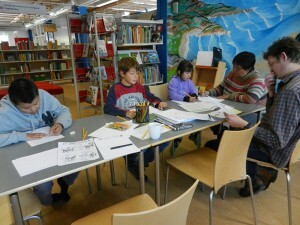 You can find more photos on the Facebook page of the City Library! 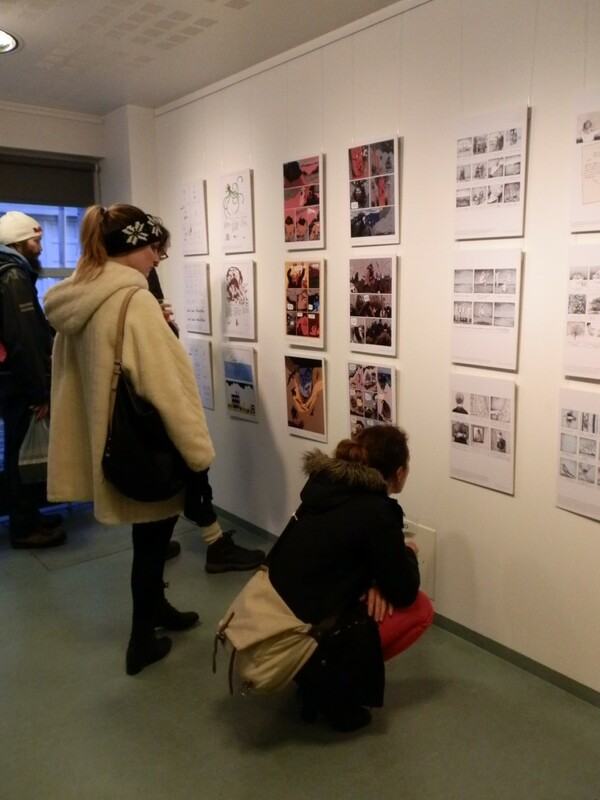 Nordicomics Islands showcases the diversity of Nordic comics and contemporary influential and up-and-coming artists of the region. 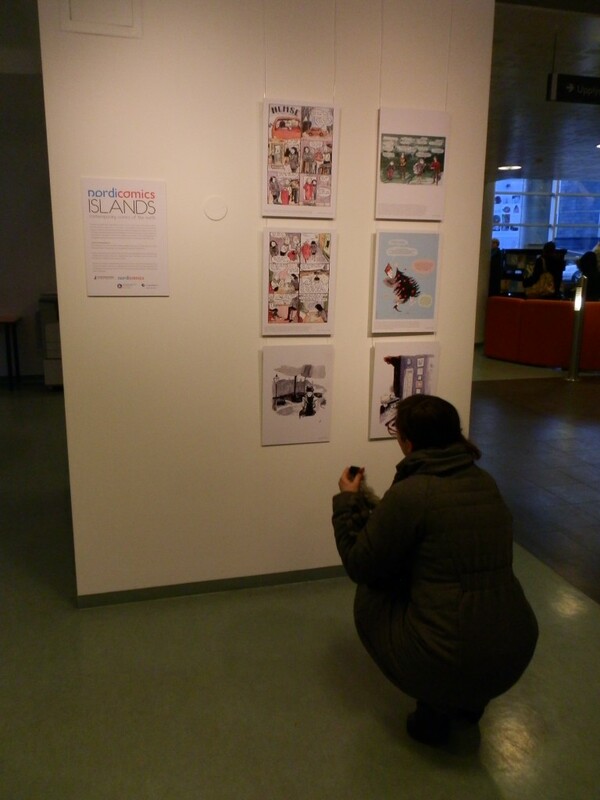 The exhibition comics revolve around the themes of distances and differences between places and people, an outsider’s view on the world and the historical and emotional landscape of the North, always through the personal viewfinder of each artist. 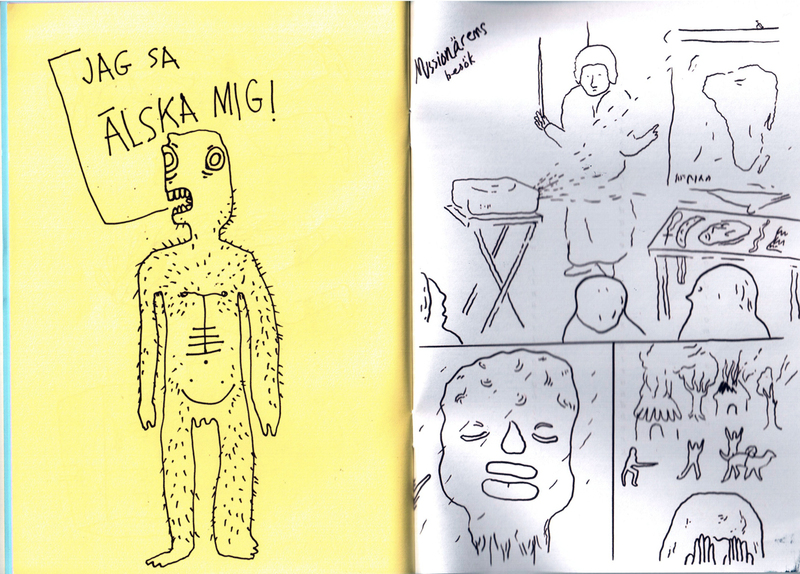 In Nordicomics Islands, the Northern comics mentality takes on many guises, ranging from poetic, understated emotion to reveling, grotesque absurdity. 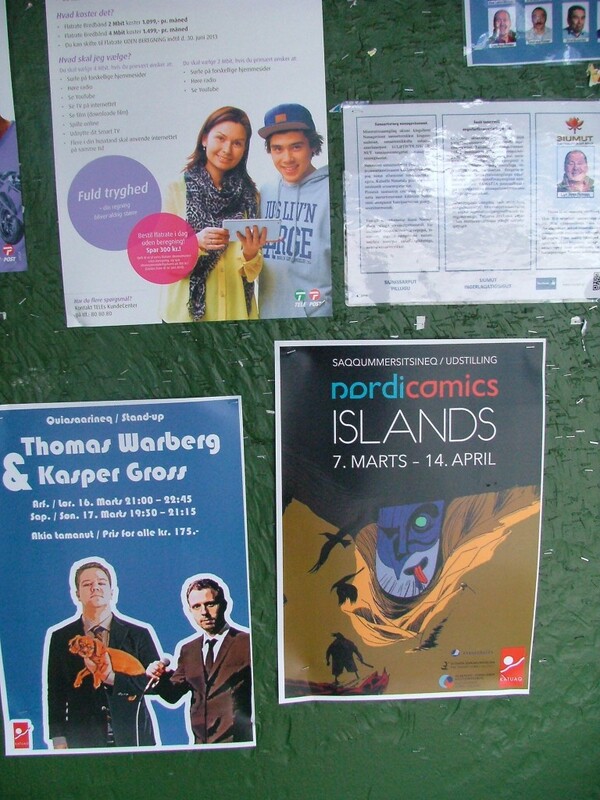 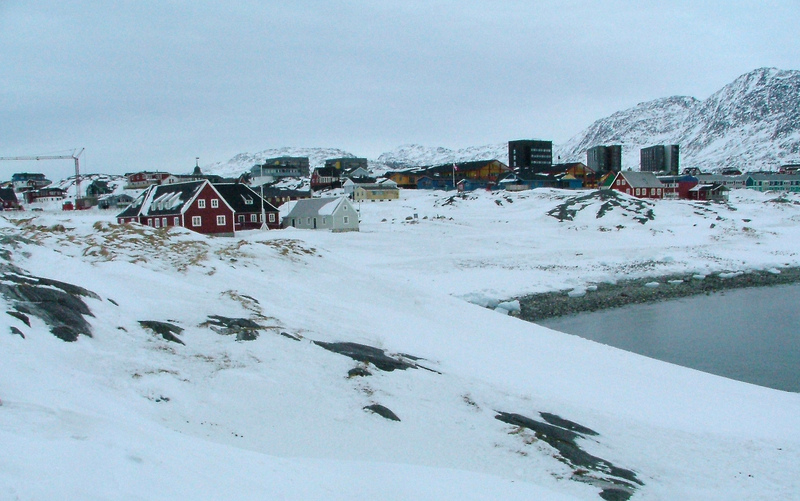 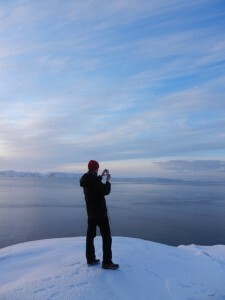 Nordicomics Islands will travel through the island capitals Reykjavík, Nuuk, Mariehamn and Tórshavn during spring 2013. 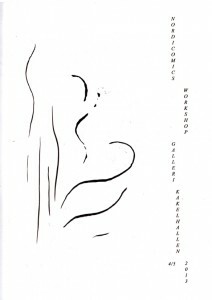 Tour schedule and more information can be found here. 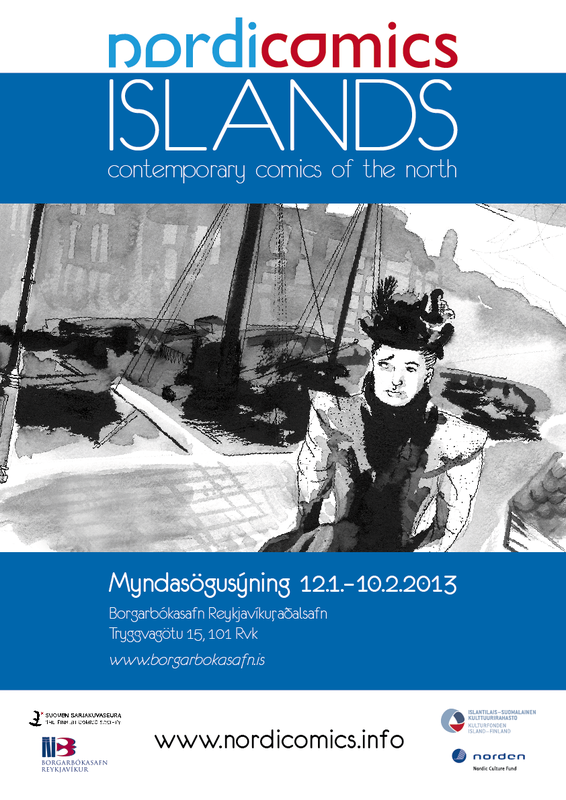 Nordicomics Islands is supported by the Nordic Culture Fund and the Icelandic-Finnish Cultural Foundation. 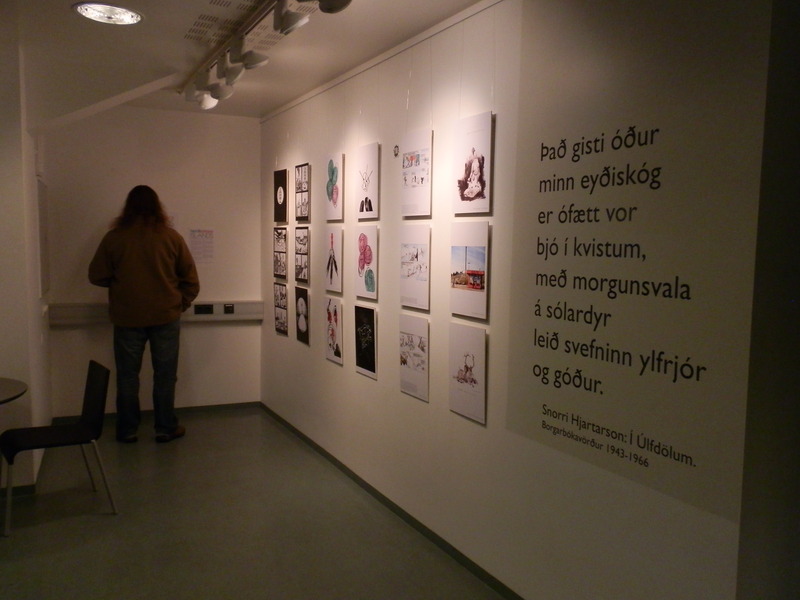 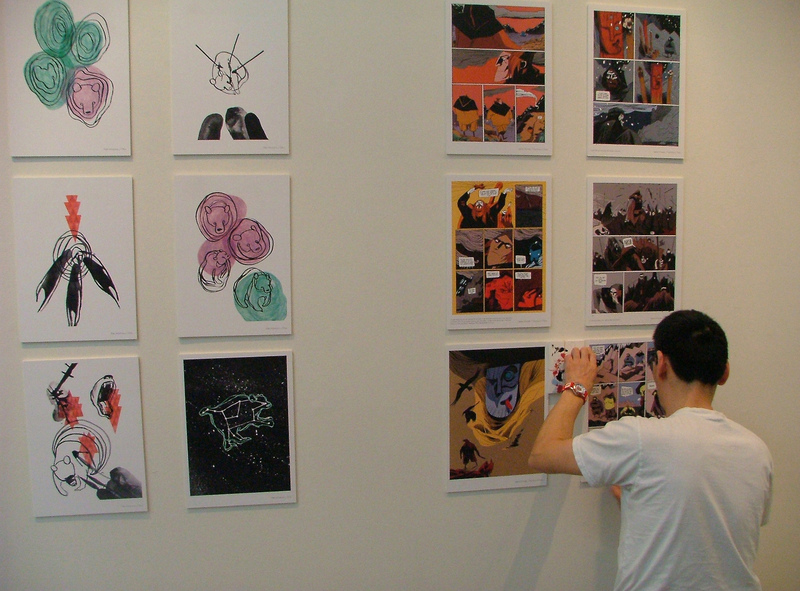 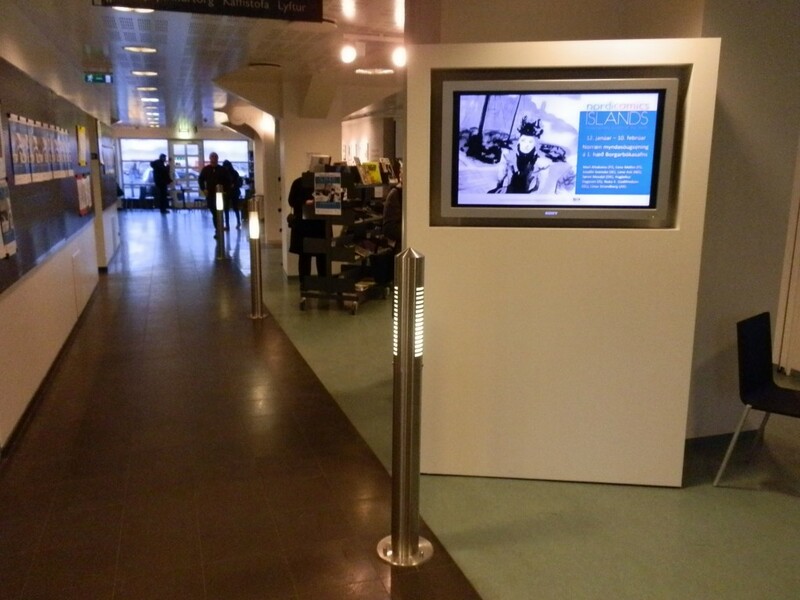 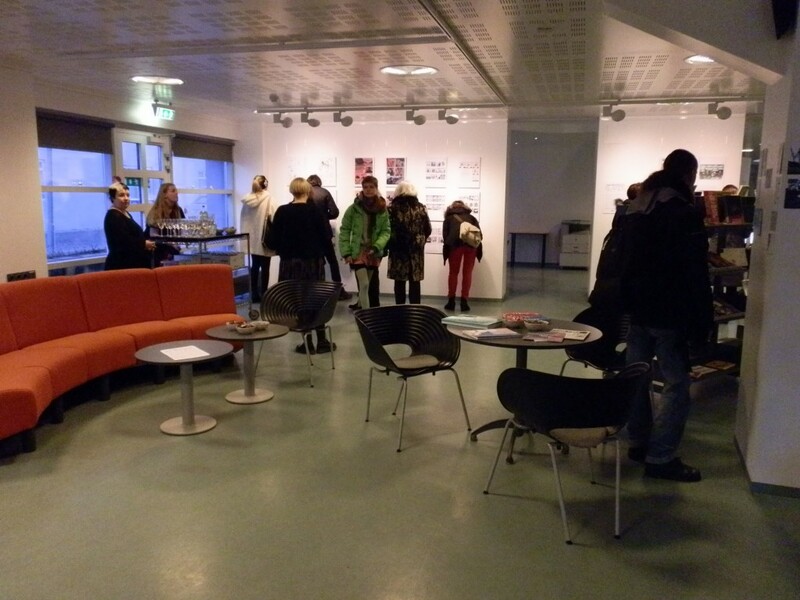 The Reykjavík exhibition is organized by the Finnish Comics Society together with the Reykjavík City Library. 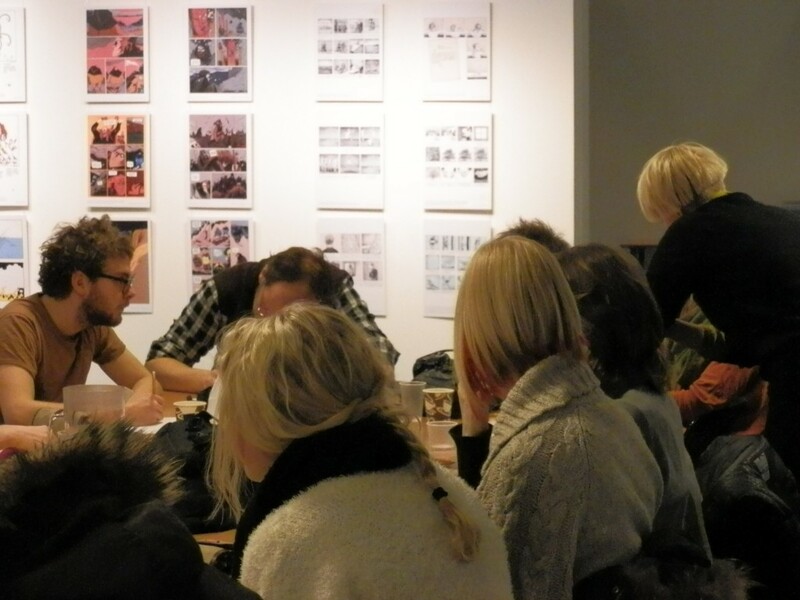 Nordicomics and The Reykjavík City Library are arranging a 1-day workshop for comics artists interested in discovering new ways of visual storytelling. 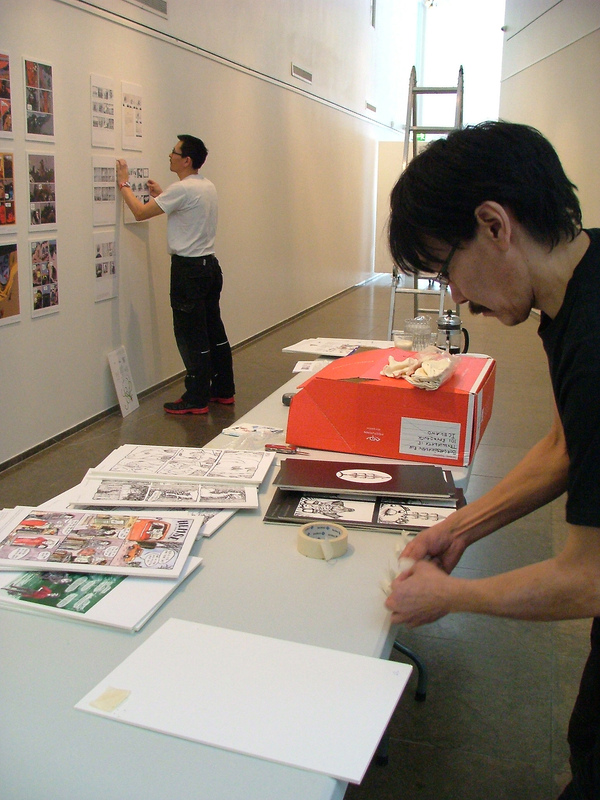 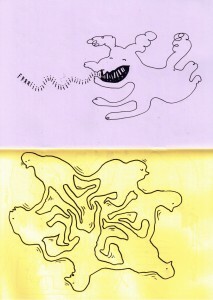 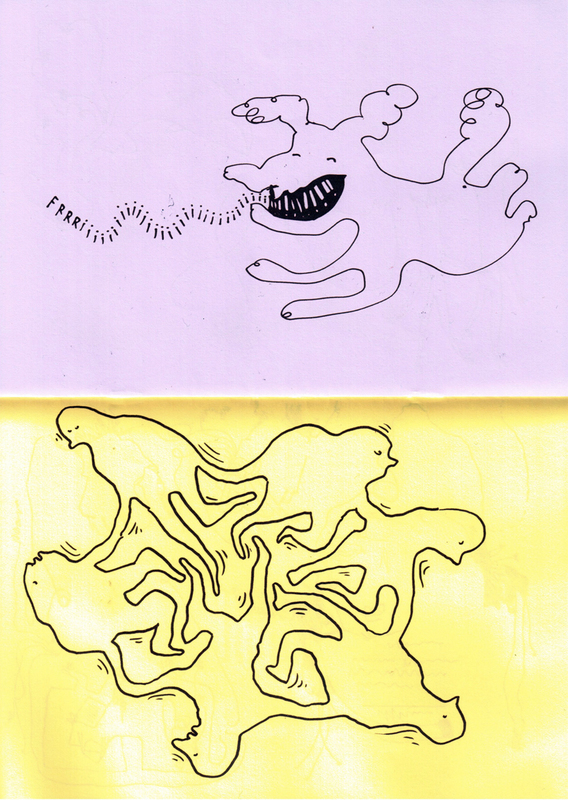 The workshop concentrates on discovering ideas from personal experience and constructing the most fantastic, escapistic comics from mundane details and events you encounter every day. 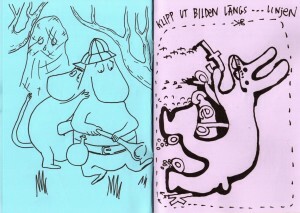 Sign up by e-mailing nordicomics@gmail.com! The workshop will be lead by Josefin Svenske, Swedish comic artist and co-founder of Kolik Förlag, one of the most diverse quality comics publishers in Sweden. 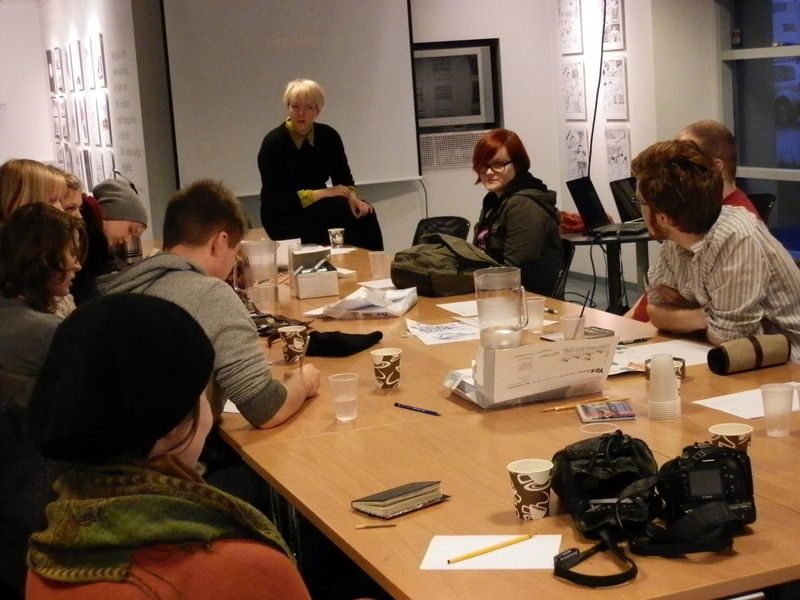 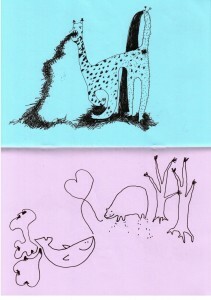 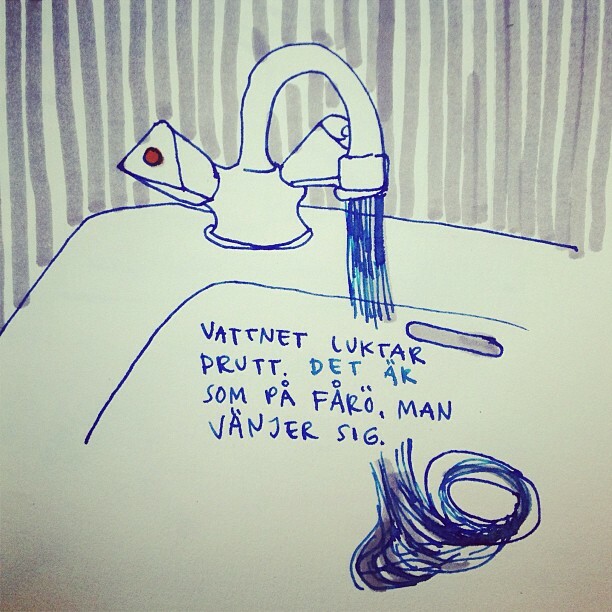 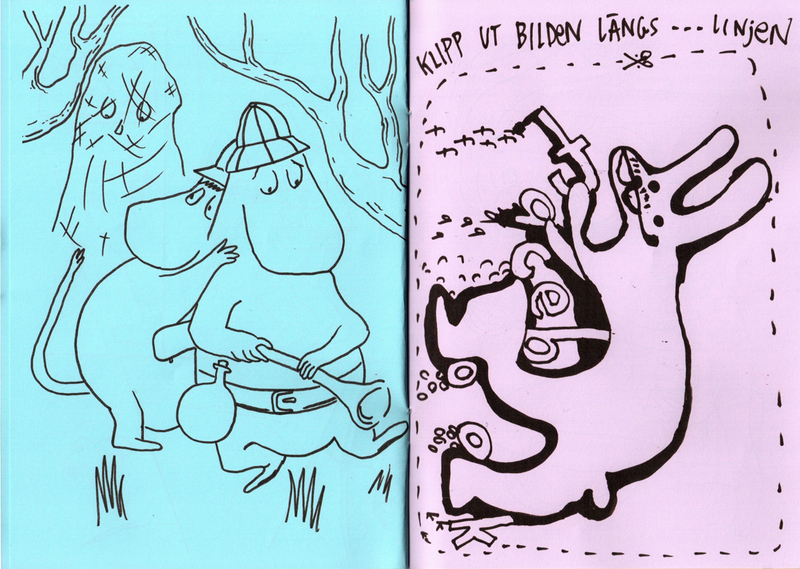 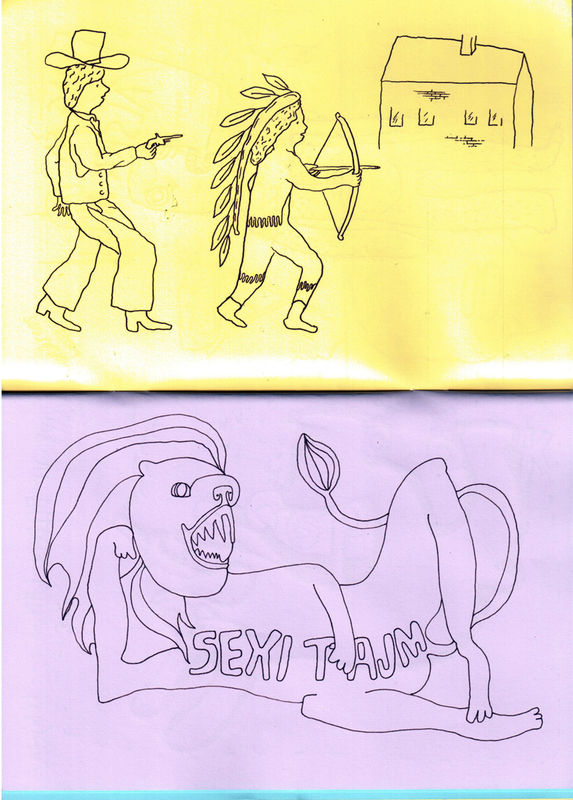 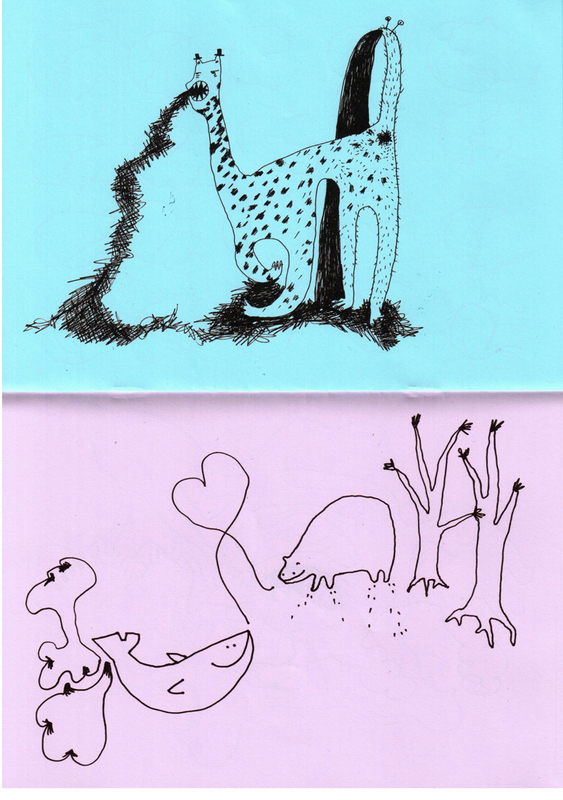 Josefin has worked as a full-time artist since 2005 and is one of the main teachers at Kvarnby Comics School in Malmö. 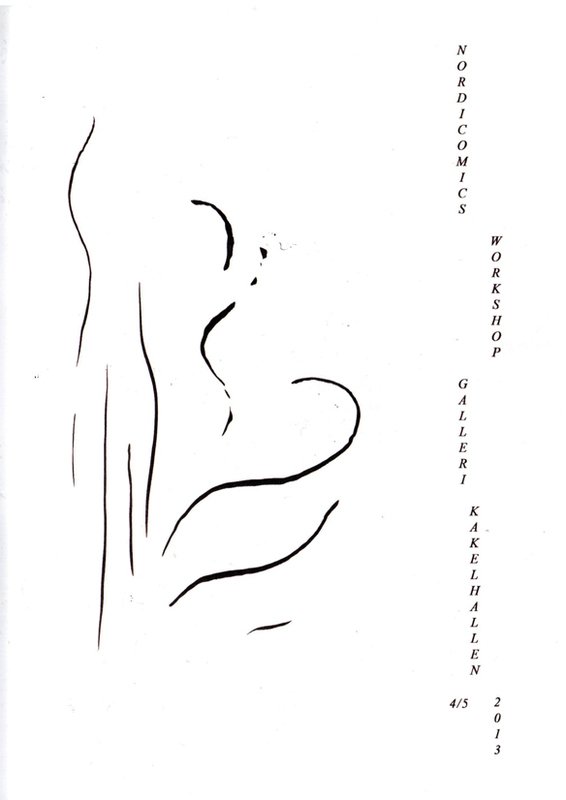 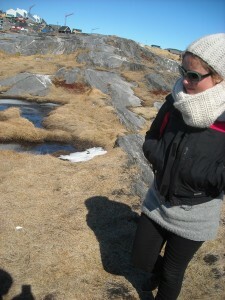 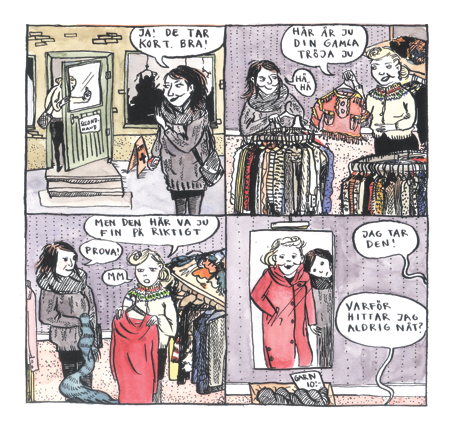 Josefin is also the first residence artist of the Nordicomics Islands, and her workshop will kickstart the spring 2013 tour for the whole project. 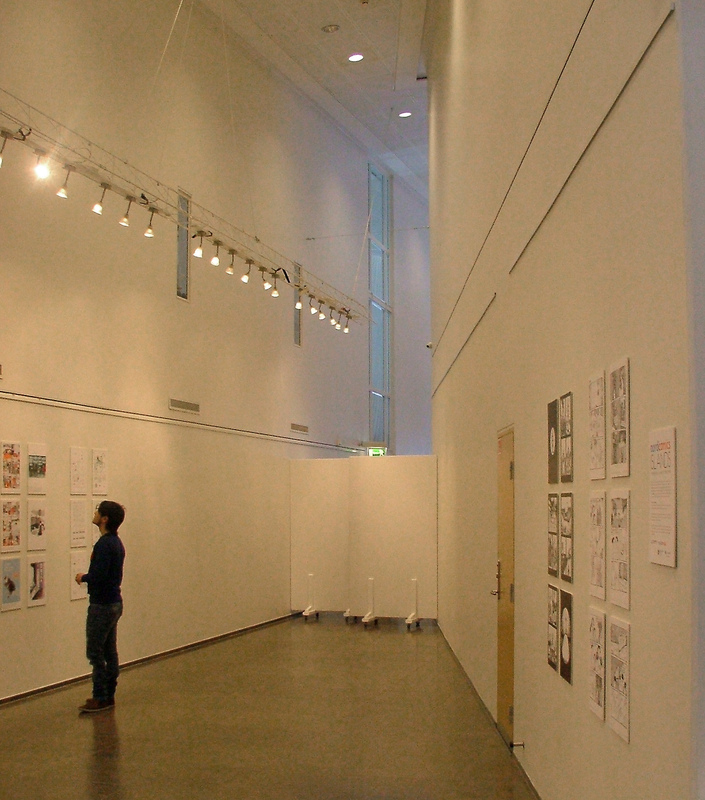 Watch this space for more details! 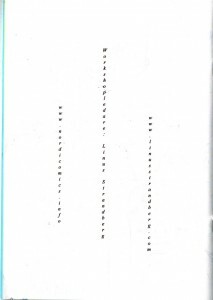 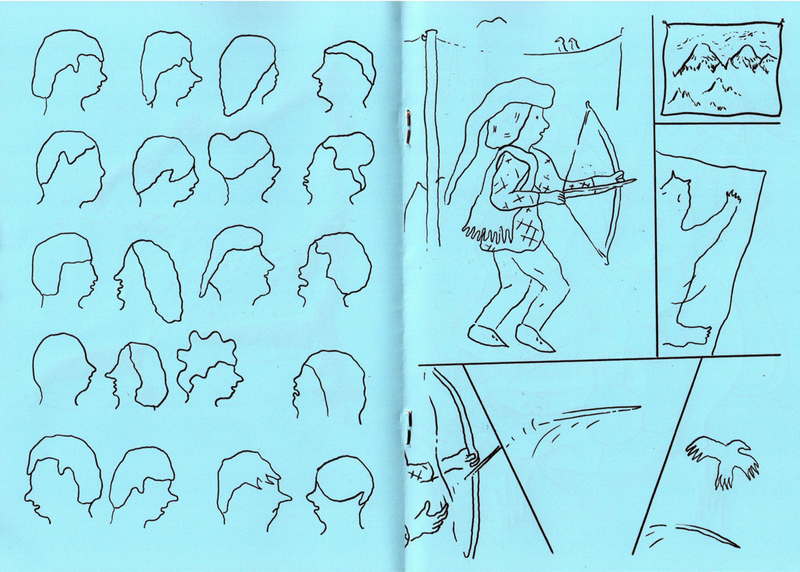 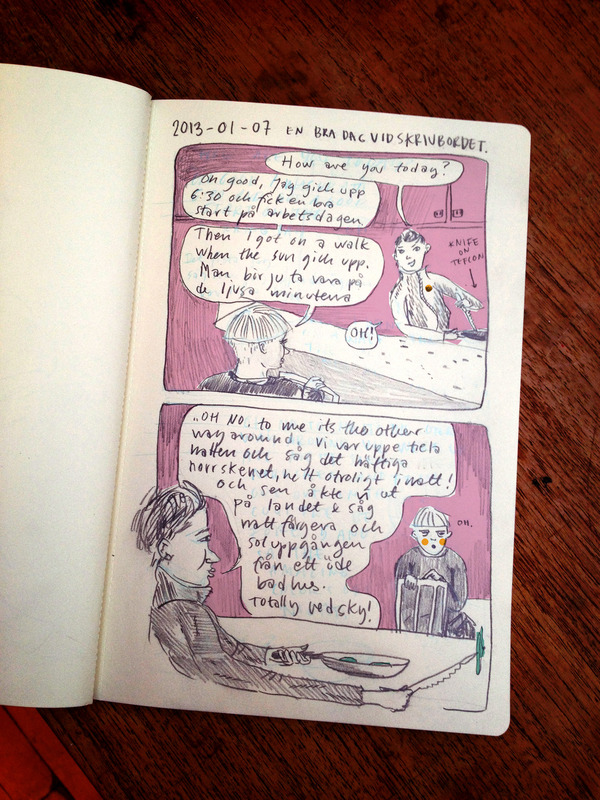 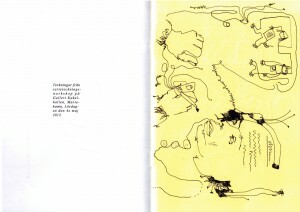 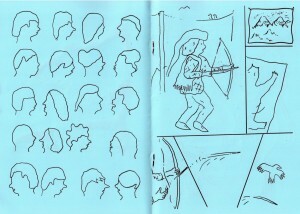 Svenske will work on a personal story about her own family history and document her stay in Reykjavik through a comics diary. 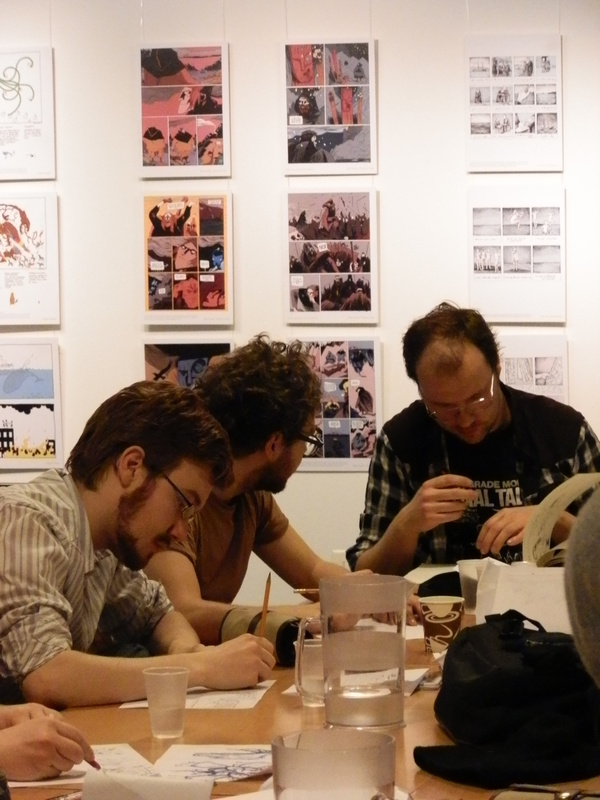 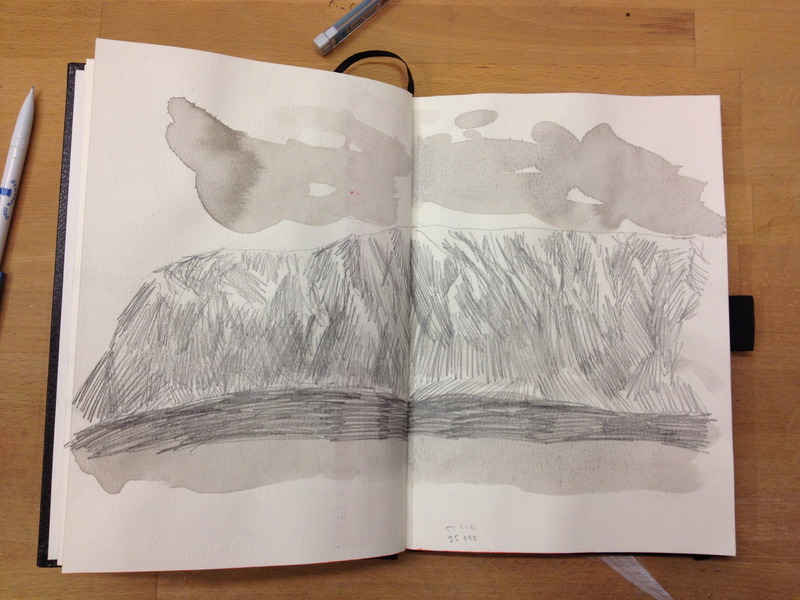 During residency Ahokoivu will research and work on a graphic novel that involves Nordic folklore about bears and nature while Mosdal focuses on his new graphic novel 'Nastrand' that explores the viking Thorkell Farserk's life after his death in Greenland. 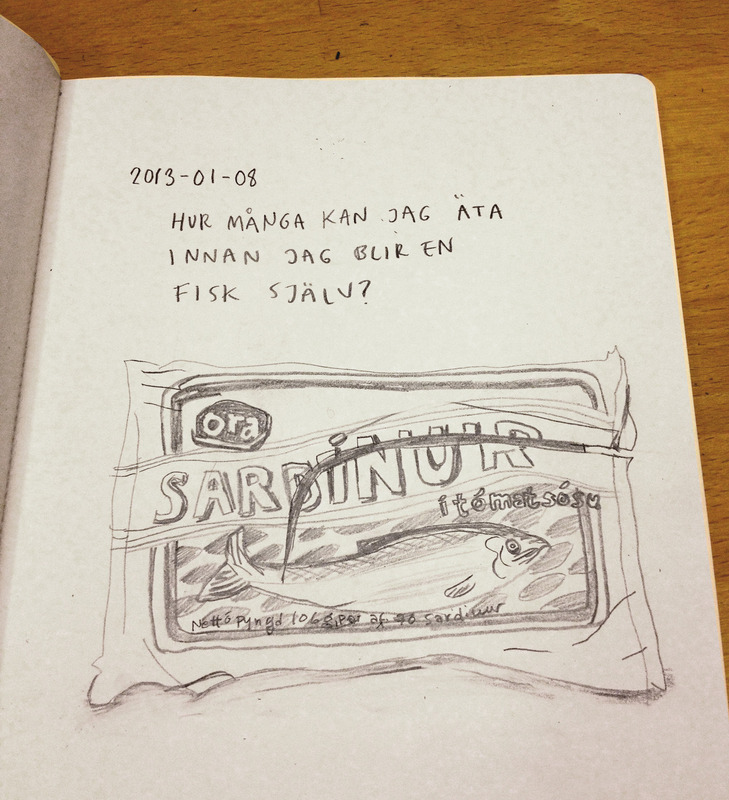 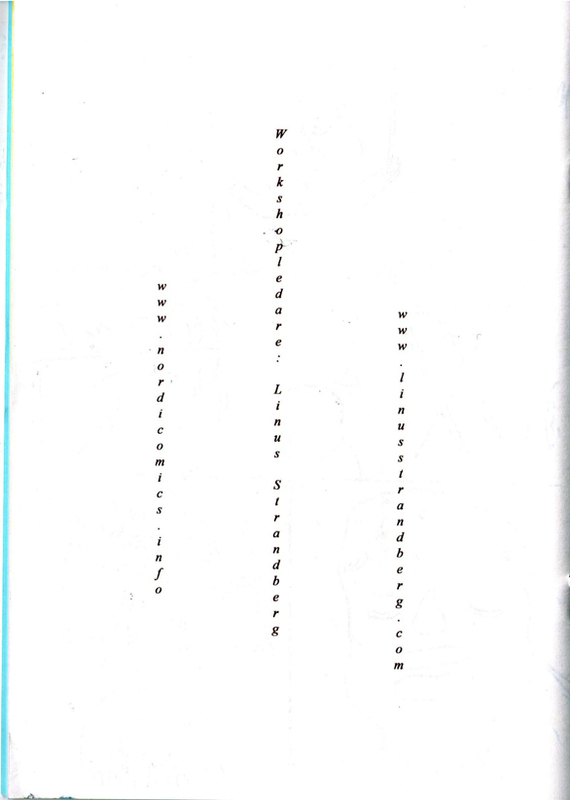 Meltio will work on a comics short story about the tradition of pilot whale hunting in the Faroese Islands. 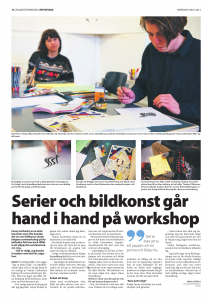 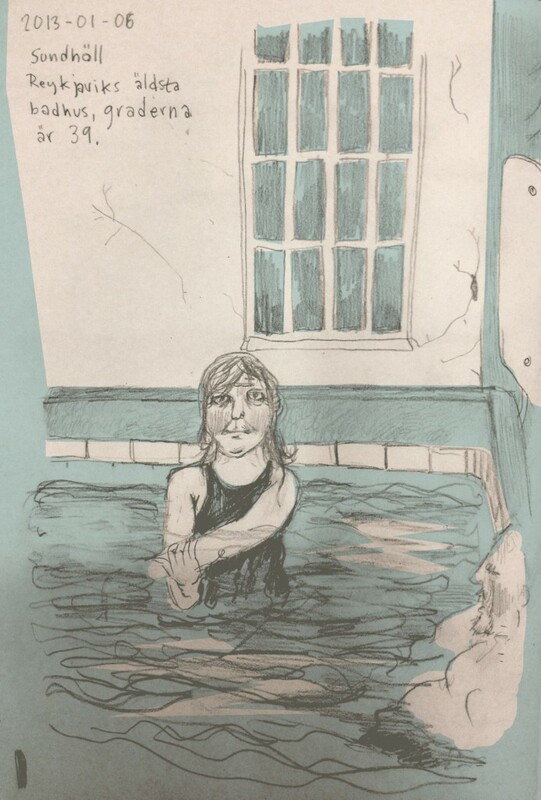 Strandberg will work on his autobiographical graphic novel 'Kumlinge' that focuses on his childhood experiences of growing up in the Åland archipelago.